If I could pick only one lip colour to share the rest of eternity with, I would be faced with a decision-making crisis like no other. I would find it preferable to contemplate chowing down on nothing but beans on toast for the remainder of my days than make an ultimate choice between my pinks, reds and nudes. Having said that, the first step in the decision-reaching process would be the easiest. Bold or neutral? 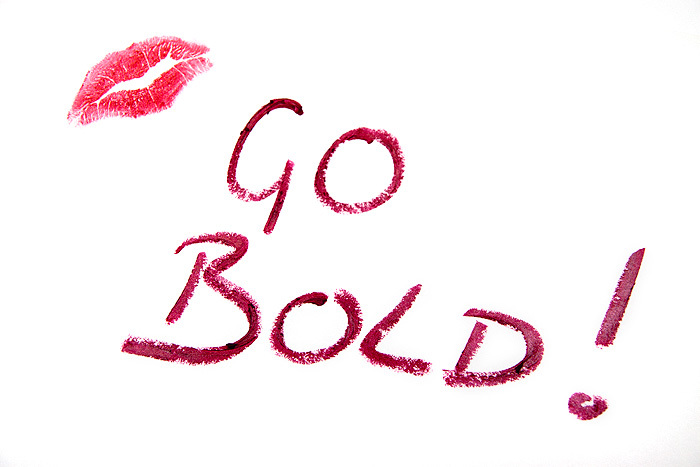 For me, it’s bold all the way. I adore a bright lip, a pop of colour can work wonders to liven up a dull complexion, lifting weary expressions along the way. Simply put, a new bright lipstick is one of the quickest, easiest and most affordable pick-me-ups known to (wo)mankind. Some ladies wear their lip shades with an attitude that allows them to rock any colour they choose but the nervous among us have to be more cautious with our selections. To play it safe, cooler-toned ladies generally look better in pinks and plums while warmer, olive-toned beauties sparkle in corals and fire-engine reds. Of course, as with most things in life… rules are there to be broken but it’s always good to know the “rules” first in order to break them with confidence! My favourite way to wear a bold lip is with good skin (hormones permitting), a slick of eyeliner, a hint of blush and nicely defined brows. Bright lips can be quite draining so try to remember “fresh” face, not “freshly-dug-up” face when considering your overall look. The key is to create a balance across the canvas that achieves a harmonious result, easier said than done but work on the basis that less = more and you’re halfway there. My final consideration in the quest for lip perfection is upkeep. Bold shades are the Mariah Carey of the lip world, they’re high maintenance and need careful care and attention to avoid a midday meltdown! For long-lasting lustre, I recommend a liner to avoid bleeding, exfoliation and moisturisation to avoid the colour settling into furrows and the “apply, blot, reapply” technique to fortify dawn-to-dusk colour. Failing that, just make sure you carry your lippie with you for mid-afternoon top ups! I’m all about the lipstick but perhaps you’re more of a gloss girl? The final decision lies with you but don’t forget to share your thoughts! Tesco Magazine are running their latest campaign, Tesco Your Beauty Awards 2011 where you stand the chance to win lots of lovely beauty bits and if you’re very lucky, a trip to Antigua! 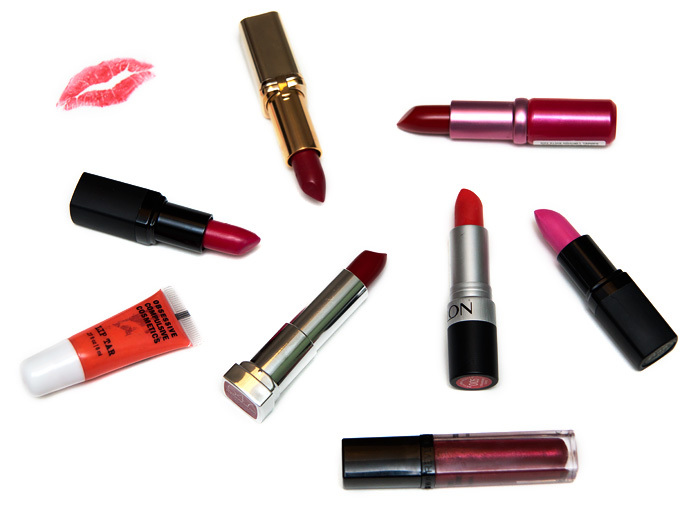 Head over there now and vote on your favourite beauty buys for unleashing the perfect pout! I’m all over these bold lips! Recently I’ve been falling in love with UD Revolution lipstick – a bright red as opposed to the pinks I usually wear.. I never knew I could love it so much! I’m all for bold too. Always makes me feel more cheerful! Im obsessed with MAC Impassioned these days…Its a head turner!!! I think MAC Violetta would be top of my list! Amazeballs for my cool toned, porcelain skin and really brings out my green eyes. Do you happen to know the name of that Revlon lipstick?